General Motors has announced it expects to hit a monthly record for August by selling over 2,500 Chevrolet Volts. While the extended-range electric vehicle won’t meet the hoped-for sales goal of 45,000 in 2012, it has still done better than its competitors, particularly the Nissan Leaf; an EV that has seen a 26.3% drop in sales over the past year. Between January and July 2012, GM sold 10,666 Volts, up 272% from the same period the year before. Its previous best month was 2,229 in March 2012, which was the same month California allowed Volt drivers (and drivers of any other energy-efficient vehicle) to use the carpool lane without a passenger. 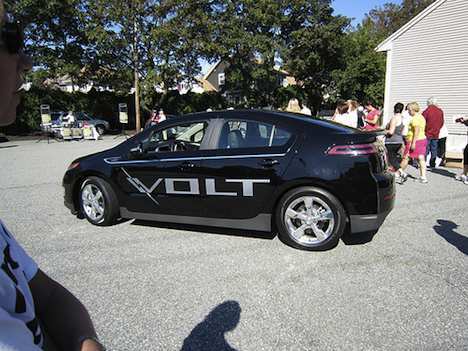 According to GM spokeswoman Michelle Malcho, one-third of Volt sales have been in California. Malcho also mentioned that this record includes the sale of 2012 and 2013 volts. The 2012 model can travel 35 miles on a single charge, and the 2013 offers a bit more at 38 miles. Once the battery is out of juice, the gasoline engine recharges it while driving. Do you drive an electric vehicle yet? What would you rather have – an electric car or an electric bicycle?